Christmas dinner at the Roundel Room R A F. Museum, Hendon Report by Edward James As I struggled across the ice from Colindale station feeling rather like Scott (or even Lt, Oates), I reflected that it was very appropriate that we should be meeting at the restaurant adjacent to the. Battle of Britain exhibition. There for sure I would meet "The Few"
Actually there were rather a lot of us there. Seventy of the eighty who had bought tickets turned up on one of the worst winter evenings of the century. As John Enderby assured us in his after dinner speech, The Spirit of Dunkirk still lives with HADAS. References to 1940 are of course inescapable when meeting in such surroundings, but am happy to report that the food was certainly not wartime fare. The roast beef in particular was excellent. Before the meal, we had a private viewing of the Battle of Britain exhibition, which is in a large hangar a short distance from the main part of the R A F museum, The exhibit at the entrance reminded us that digging has its place, even in aviation archaeology. There we saw the twisted remains of a Spitfire, shot down in 1940 excavated from, the East Anglian sand in 1973. Although there are many of exhibit, .the aircraft take pride of place. Every major type of aircraft that took part in the battle is represented no forgetting the brief appearance of the Italian Air Force, Examples of several types which flew later in the war are also on view including the actual German night fighter which was hijacked by an anti-Nazi crew and flown to Scotland with the secrets of with the secrets of the German airborne night radar in 1943. .
After dinner, John Enderby not only evoked the spirit of 1940 but also recalled his initiation into archaeology in post-war Canterbury. We were also reminded that HADAS will soon be celebrating its 21st. anniversary and we were pleased to find two of the 18 founder members with us that evening. He has written an informative pamphlet on the subject, which was reviewed in a previous Newsletter. Mr. Clark will be known to many members as the Secretary of the London and Middlesex Archaeological Society. First, an explanation; second, an expression of thanks and third, an exhortation. If those HADAS members who in the past volunteered to watch development sites for signs of archaeological material uncovered during building operati­ons have found there have been no requests for their help over recent months, it's not because they've been forgotten. The Research Committee has, with much heart-searching, been reconsidering the organisation of site watching in an effort to reduce the vast amount of time, for very little return, put in by the volunteer watchers. The result has been a decision to abandon the previous system under which a large proportion of all development sites in the borough were watched, in favour of concentration on specific sites thought to be of particular importance. So all planning applications are now being studied with this in mind, and the members concerned - Helen Gordon for the Hendon area, Sheila Woodward for Edgware, Paddy Musgrove for Finchley, Bill Firth for Golders Green and Childs Hill, Ann Trewick for Barnet - will be calling on other site watching volunteers only when something major comes up. In this way, the Research Committee hopes to reduce the frustration the previous system inevitably produced.The members of HADAS involved the site watching in the past are too numerous to mention here by name But the Research Committee would like to pass on to them its heartfelt thanks for all their efforts, in what was all too often an unrewarding task. Helen Gordon, 13Sunningfields Road, NW4 (203 1001) Sheila Woodward, 8 Hereford House, Stratton Close, Edgware Paddy Musgrove, 20 Redbourne Avenue, N3,(346 0128); Bill Firth, 49 Woodstock Avenue, NW11 (455 7164); Ann Trewick, 88 Western Way, Barnet (449 4827). at 94 Hillside Gardens, Edgware (Tessa Smith). January, Exploreres should meet at 10am underneath the viaduct in Waterfall Road, Southgate, N.11 For further details, or a lift, please telephone Helen Gordon, 203 1004.
wishing Miss Jones a speedy recovery and sending her our warmest sympathy. Following an appeal around Burnt Oak by Albert Dean for reminiscences of the aircraft industry in the area, a reply was received from Mr John Marini who was about to return to Canada. In the short time available Bill Firth was able to interview him and take notes from which the following account is written. 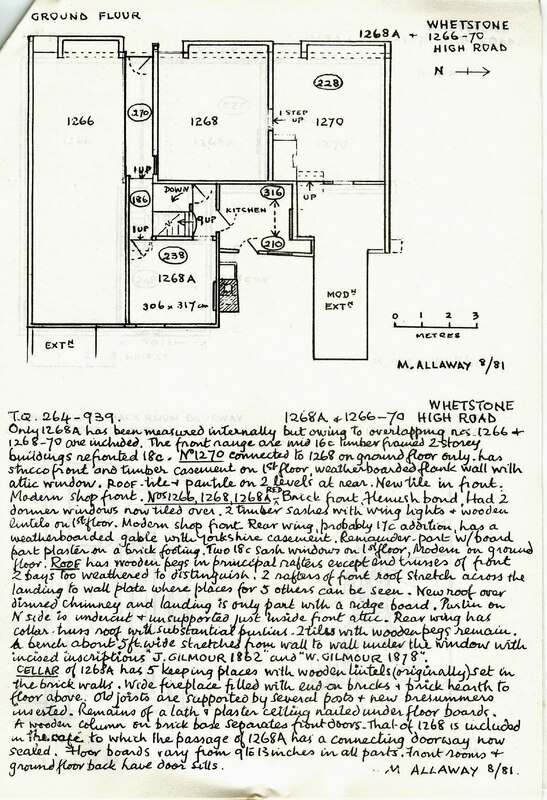 Before the completion of the estate Mr Marini remembers, being able to look across the fields to Hendon Aerodrome, the nearest part of which is only about ½ mile away. In 1927 there were no shops in Watling Avenue. L. W. Brady sold newspapers outside the station and later opened the first shop nor was there anything on the Edgware Road, now Burnt Oak Broadway, except the Stag pub. There were a few cottages on the right hand side going up Stag Lane but otherwise the surrounding area was all farm land. one, which was the original office, is now a museum at Hatfield. The extant brick buildings are the World War II factory: There were about 300 employ­ees and the firm was making a variety of Moths: Mr. Marini recalled the Gypsy Moth with two open cockpits, the Fuss Moth with a cabin and the Fox' Moth which had an open pilot's cockpit behind a four-seater passenger cabin. A Moth sold for £850- £1000. The company had made its own engines since about 1923. The engine shop was on the right of the gate, beyond it were the aircraft shops and design offices. In addition to de Havilland, The London Flying Club and Air Taxis Ltd. used the aerodrome. AmyJohnson was a member of the club and, although she was an excellent navigator, she was not such a good pilot and she contin­ued to take lessons at Stag Lane. Mr. Marini used to go to the aerodrome at the weekends to help her clean her aeroplane. 1935 with the new activities at Stag Lane, more people than ever were employed there and then the company restarted part of the aircraft division there to make aeroplane parts, not only for their own Moths but also wing centre sections for Gloster Gladiators. After some more shuffling between de Havilland and the Power Equipment Company, Mr. Marini came back to Stag Lane to work on the Gladiators but 'in 1337 when he was 21, he went away to Yeovil to work for Westland as a fully qualified adult worker - but not for long because during World War he was back at Hatfield. Geoffret de Havilland and his board were very good to their workers and the company was a rare one in being among very few which paid their workers for the Christmas Day holiday. The management however was anti-labour and eventually got kicked out because of their attitude. 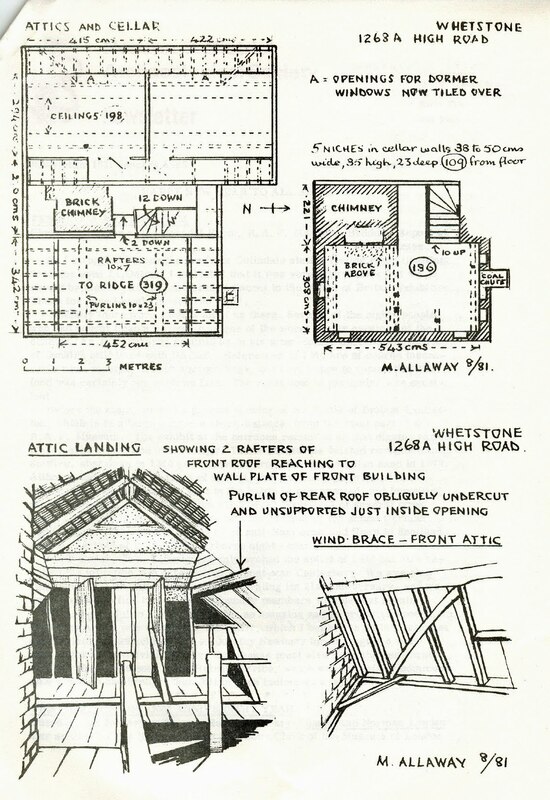 In the late 1930s skilled tradesmen at Stag Lane (e.g. fitters, machinists, woodworkers) got 1/4½d per hour (7p) for a 5½ day, 48 hour week. There was no sick pay and no paid holidays. Skilled workers at Ford, Dagenham got 1/10 per hour (9p). In 1938 although the aircraft industry was very bust on rearm­ament, projects wages did not go up. There was a national wage claim by the Confederation of Trade Unions for £1 per week increase but the unions had little power at that time and actually settled for ¾d per hour - only 3/- (15p) for a 48 hour week - and even this was paid in ¼d monthly instalments over 3 months de Havilland was not unionised until the move to Hatfield. At Hatfield a special shop for the DH 94 Moth Minor was built somewhat distant from the rest of the plant and at the start of World War II this become part of the sheet metal department. Quite early in 1940 this was "accidently" bombed. A Junkers JU88, which was lost, broke cloud over the aerodrome which was recognised by one of the crew who had worked there as a student. "Don't bomb it". he said, but, with fuel low, the bombs had to go. From a low altitude they skidded on the grass and hit the DH194 building. The aircraft was shot down by an old naval gunner and the crew captured which is how this story became known. As a result, de Havilland dispersed their activities into many factories in the surrounding area - six in Welwyn Garden City, including Buchanan's toffee factory, one in Luton; and four or five in St. Albans, including the Salvation Army brass instrument factory from which the S. A. workers were instantly hired into the aircraft industry. Mr. Marini took charge of quality control in the Welwyn and Luton factories. One other aspect of the 1940 raid was that after it Hatfield was very well camouflaged while a poorly camouflaged dummy factory was set up nearby at Panshanger. This was later bombed while Hatfield escaped. After the war, Mr Marini worked on the Comet for a time but went to Canada in 1951. A start will be made early in 1982 on moving records . "While collections are being prepared, packed and moved they will not be available for consultation," says the statement. "Afterwards they will be treated as out-re.pository material, and can be brought to County Hall for consultation, but five clear working days' notice will be necessary, As soon as possible we will issue a detailed time­table indicating when particular groups will be moved and when the Search Room and History Library will close for transfer to Clerkenwell. The new premises, we are told, will provide improved accommodation for readers as well as for storage. There will be a readers' common room and an exhibition room for talks and displays. Meantime, there will inevitably be some disruption in service, and an appointment, or a preliminary phone call, may save waste of time. The Greater London Record Office is open from Monday to Friday, 10a. m. - 4.45p.m and on Tuesdays, till 7.30p.m. (by appointment only). For records stored in an out-repository, an appointment 3 working days in advance must be made - and no list has been published indicating to which records this applies. For enquiries and appointments telephone 633 6851. It is interesting to compare the normal arrangements at the Greater London Record Office (that is, open 6¾ hours on 4days a week, 9½ hours the fifth, and closed on Saturday) with the sort of service offered in another city. In the last issue of "Local Population studies" (which fights many a battle for the users of public records) there is a letter from a research worker in Liverpool, which is worth quoting in Full. It is headed "A. Testimonial from a Satisfied Customer"
“I read with interest the latest editorial regarding record offices, but think that Liverpool Record-Office merits special mention, as an example of the type of service that a record office should provide to all researchers. The new membership list - corrected up to Jan. 1st 1982 ­will be typed and duplicated during January, for issue from Feb.1st. We would like to take this chance of warmly thanking Phyllis Fletcher for so quickly and kindly offering to do the long and tedious job of typing and checking it. We end this month's Newsletter with a piece of recording by HADAS member MARY ALLAWAY. site of an older inn (it was rebuilt c1920). when you look up at the roofs of the buildings- nos. 1264-68 High Road- are ancient; and a trip round the back shows a medley of varying roof-styles and weatherboarding which seems positively medieval. 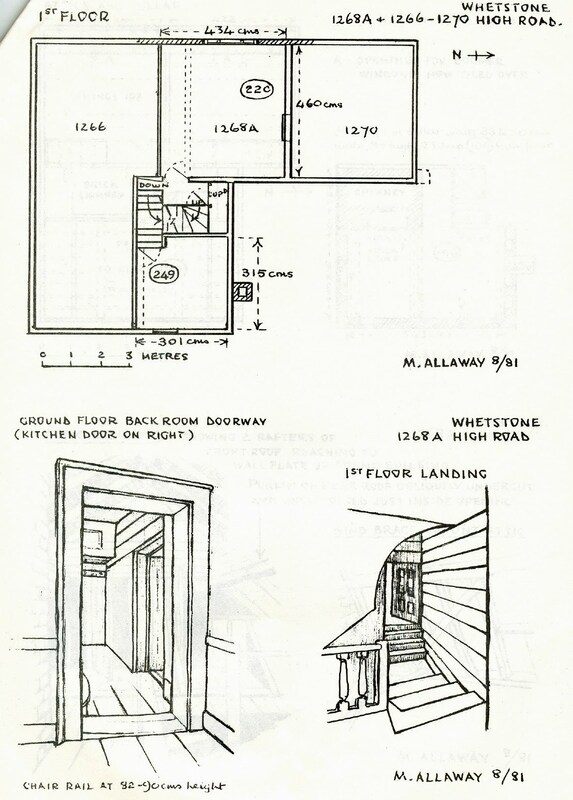 plans indicate the ceiling height of the room or passage concerned.